Today I'm welcoming Susan for an installment in the Before I Had a Seven Year Old series. 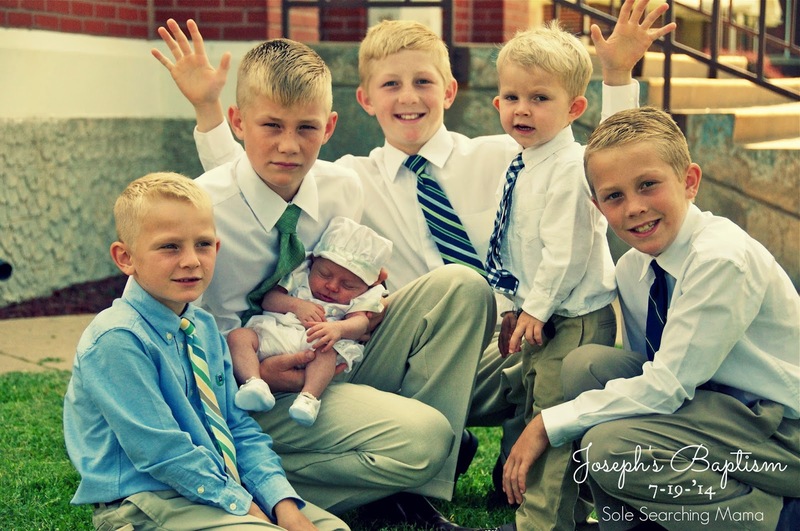 Susan writes at the lovely Sole Searching Mama about pounding pavement and the sugar and spice of mothering six boys. I'm so excited to have her sharing some of her early parenting stories (which just *might* include shattering a mug against a wall) here today!!!! One big difference is that the older boys are able to share in many of the responsibilities of daily family life, which is an incredible help to me. I am still very busy as a mom, with a large family there are many activities to attend, homeschooling requires significant time and attention, and of course the household chores are never-ending. But, when the older boys are able to help clean, do dishes, bathe younger siblings or fold laundry, I don’t feel quite as overwhelmed, knowing I can count on them! Another difference is that my husband and I really have to work together as a team to meet the needs and goals of children of such varying ages. For example, our oldest sons may want to do more challenging activities such as hunting, fishing or four-wheeling, things that the little ones cannot participate in. And, the little ones need to have the opportunity to do those things which the big kids would not enjoy as much such as playing at the park. So, we have to work together to teach all of the children to be patient with one another and to accept that in a large family there will always be a lot of give and take. I miss napping with them! And, I also miss how simple our days were - yes, there were many chores to attend to back then as well, but aside from cleaning and laundry, there was plenty of precious time for play-dates with other families, sitting down to read great big piles of our favorite books, and best of all being outdoors playing in the yard, riding bikes, exploring, etc. Oh, my! Where do I begin??!! I think just trying to be that “textbook” mom who does everything right step-by-step was completely ridiculous! There is an enormous learning curve to being a first-time mom, especially for those of us who never had the opportunity to gain some mothering experience by helping our own moms raise little siblings. I worried and fussed way too much over everything with our firstborn, I even insisted that we have a wipe warmer for those sweet baby buns and that I make his own organic baby food. Who was that girl, and what was she thinking?! The #1 thing that stressed me out was trying to please everyone around me. I really bought into the idea that if everyone else approved of the way I was caring for my child, from what he ate to how often he napped, that I must be doing a great job as a mom. If they disapproved or disagreed, then I must be failing. I think that deep down I feared that because I chose to stay home instead of taking the career path, that people would think I was taking the “easy” path in life, therefore I had to prove that I could do this “easy” job. My anxiety over everyone else’s opinions of me caused a great deal of self-imposed worry and stress that was truly unnecessary. I wish I could go back and tell myself to trust my instincts, to listen only to the seasoned experts who share their wisdom with loving concern for me and my child and to relax and enjoy the journey! I remember a very specific time a couple of years ago when life on the farm was very hectic. I was trying to manage everything at home while Steve was working tremendously long hours. At the end of “one of those days” with the boys, they had literally stepped on my last nerve. In my moment of frustration, while cleaning up the kitchen, I threw a coffee mug at the wall (the boys were in another room). Honestly, hearing it shatter released a load of anxiety, but when I realized my 7 year old saw me do it, I felt regret for being such a poor example to him. That was probably about the time when I discovered the benefits that a glass of wine can offer!! Just two weeks after saying “I do!” we found out we were expecting. Our first and second sons are only 17 months apart, so all of our time and attention was focused on babies, work and survival for the first few years of our marriage. Over time, however, we have realized that we need to nurture our marriage just as much as we need to nurture our family! We try to get away together for a weekend at least once a year, which is always nice, but honestly, it’s knowing how to seize the little moments during the day that are the secret to staying connected. Whether it’s pausing from daily chores for a long hug and a few words of appreciation or letting the dishes go in the evening so we can sit outside and visit while the kids play during the evening, those simple opportunities really do add up and have a great way of strengthening our marriage. I also like to leave notes in Steve’s truck that he can see as he heads off to work, and we text and call each other during the day. 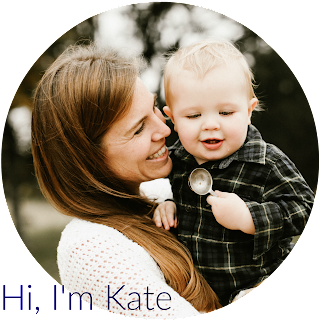 It’s fun to be flirty during in the midst of the craziness of parenthood! What was your hardest transition after having a newborn? 0 to 1 kid? 1 to 2? Why? For me the hardest transition was definitely from 2 to 3. The reason for this was really an issue of pride - my pride - had to be broken! I felt like I could handle everything that came with just two littles. I had the time, energy and will to take care of the children as well as the housekeeping, laundry, errands and bill paying all by myself. I really didn’t ever ask Steve for help with these things. Then, after our third son was born, I remember one morning I was struggling to get everyone ready for church (while Steve was doing who-knows-what). Time was running out and my hair was wet, I wasn’t dressed, the baby had a blow out and still needed to nurse. I was reduced to tears and sat crying on the nursery floor when my husband came in and said, “Honey, do you need some help? Just ask!” Of course my pride was screaming, “Why don’t you just take notice and offer to help!” But, I soon realized that as wives and mothers we have to make our needs known and trust that those who love us will be understanding and ready to help when we ask. I would tell that girl to RELAX! Enjoy the journey! Don’t worry too much about what other’s think you should be doing as a mother. Savor that precious time with your little ones because, when they get older and have so many activities and responsibilities that require you do be stretched in different directions, you will miss the simplicity of life. You will miss their sweet “littleness.” Opportunities for napping together, going for nature walks, playing games, doing crafts and reading books will become fewer and fewer, and you will miss those early days so very much! Thank you so much to Susan!!! If you're interested in reading more Before I Had a Seven Year Old posts you can find a whole heap of them right HERE. I do so love Susan's advice. So, so spot on! I just can't get enough of this series. As a Mom of two (3 and under) currently due with our third in the Spring, the amount of times I get (sometimes roughly) pulled aside and told to 'treasure every moment! ', 'it all goes so fast!' - it's gotten to the point where I roll my eyes and "yeah yeah yeah". But the thoughtful answers provided and specifically to the question "what do you miss most about having only littles" has been a huge eye opener. It's made me sit up and appreciate the spontaneity in our lives that still exists this last year before my eldest heads to school. Thanks for that! Thanks to Kate, to Susan here and the other contributors. Ooo i loved this, I'm going back to read it again!